Myth Buster: The toilet leak dye-test doesn't work! Myth Buster: The Toilet Leak Dye-Test Doesn’t Work! Toilet leaks may be an easy repair but sometimes detecting a leak can be the biggest part of the challenge, especially if it’s a silent leak. Don’t be alarmed – there are many ways for you to check to see if your toilet is leaking, but the classic ‘leaking toilet dye-test’ isn’t one of them! 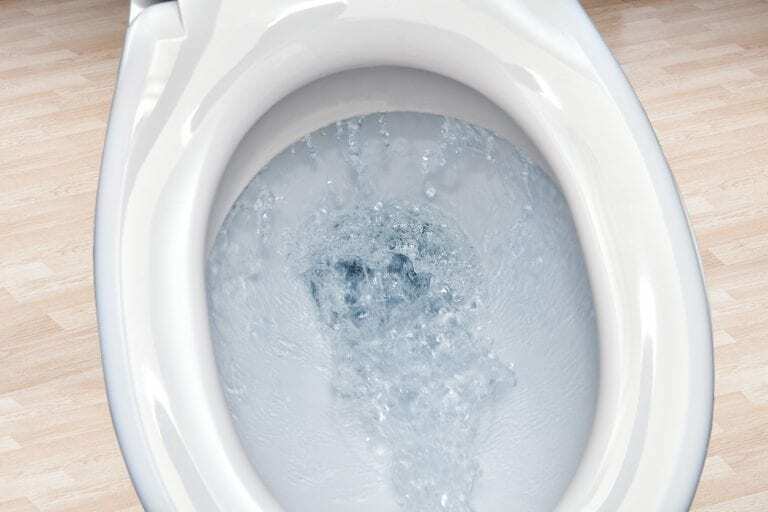 In case you’ve forgotten the details, the leaking toilet test, is where you drop a few drops of food colouring or dye into the tank of your toilet, and wait a few moments to see if coloured water seeps or leaks down into your toilet bowl. It may sound pretty straightforward and foolproof, however it doesn’t always produce results you can count on! When performing the test, we often found the dye would still leak into the toilet bowl, but it wasn’t necessarily because a leak was present. What most people don’t know is dye can still leak into your toilet bowl due to the differences of viscosity in the liquids and dyes. After performing the test, it might tell you that you have a leaking toilet, when you really do not! 1) Place your ear to the toilet tank after you’ve flushed. Continue to listen for a minute or two after the toilet has stopped filling. If the leak isn’t silent, you will be able to hear if water is still running. If you can still hear water running, it means you’ve most likely detected a leak. 2) After you’ve flushed, wait a few moments and then look into the toilet bowl. If you can still see water movement filling from the tank minutes later, you’ve most definitely spotted a leak. 3) If you can hear your toilet filling when no one has recently used it, it probably means you have a broken fill valve. This is known as the famous ‘Ghost Fill’. Before you let your water bill double, give these tips a try to detect a leak right away. If you suspect you have a leaking toilet, contact us for a professional toilet check. A good test for a leak is to look at your water meter. Make sure nothing in the house is using water. Then observe your water meter. Old mechanical meters usually have a spinning indicator that rotates once per gallon. If your meter is moving and you are not purposely using water, you have a leak. Plumber Unknowingly Takes on Frozen’s “Let it Go” and Crushes It!